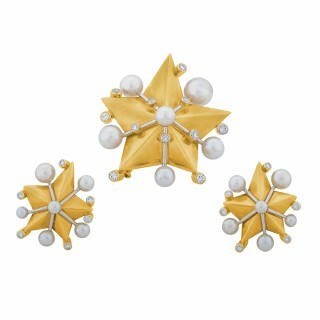 A charming 1960s Fred suite with three gold, pearl and diamond ‘starfish’: the largest a brooch and the smaller two a pair of earclips. Signed “FRED PARIS” and numbered. Marked 750 for 18KT gold.